Uber’s actual IPO price will be largely irrelevant to calculating Masa’s eventual return on investments. 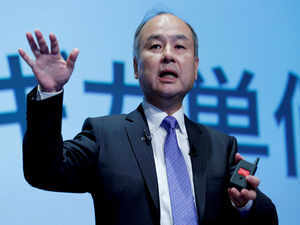 The SoftBank Vision Fund paid about $7.7 billion for its 16.3 percent stake in Uber Technologies Inc. A more important number is what Uber’s bankers can turn that into when the ride-sharing company IPOs on the New York Stock Exchange. Lyft Inc.’s recent performance is not inspiring. After pricing its IPO at $72 on March 28, shares in Uber’s nearest rival have since slid 15 percent. Unicorn IPOs haven’t had a great track record recently. Xiaomi Corp., once among the world’s most valuable startups, is down a third from its July market debut, while the food delivery platform Meituan Dianping has dropped 23 percent.